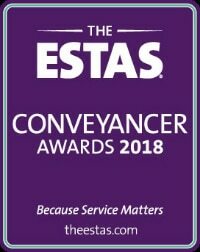 The ESTAS Group, which runs the national customer feedback scheme for property professionals and produces the largest annual award events for both agencies and conveyancers in the residential property sector, has confirmed more new partners for its Conveyancer Awards programme for 2018. Lawyer Checker, Solve Legal Marketing and Today’s Conveyancer have all confirmed their support on the back of the highly successful inaugural event in October last year. The awards, whose headline sponsor is SearchFlow, are unique as winners are selected purely on ratings collated via The ESTAS client feedback platform used by conveyancing firms taking part. The award scheme is already backed by the Conveyancing Association, the Society of Licensed Conveyancers, Legal Eye and Bold Legal Group along with headline sponsor SearchFlow and sister firms Landmark Information and Ochresoft. Conveyancers of all shapes and sizes can take part in the awards. There are categories for single office solicitors, for local or regional firms with multiple branches and firms with national coverage and e-conveyancing specialists. The ESTAS also has a category that recognises individual members of staff known as The People Awards. The 2nd annual ESTAS Conveyancer Awards will take place on 19 October in the spectacular ballroom at The Grosvenor House, Park Lane London. The event will once again be hosted by TV property expert and ESTAS brand ambassador Phil Spencer.